Silver's Reviews: Want To Play!! I thought this would be something fun to post on my blog and other sites I post on such as Instagram and Facebook. If you want to play along, please comment with your answers. I think we will have a lot of wonderful replies. 1. 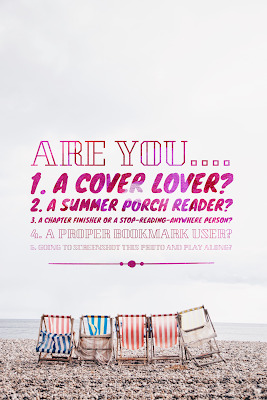 Yes...I am a cover lover. 2. 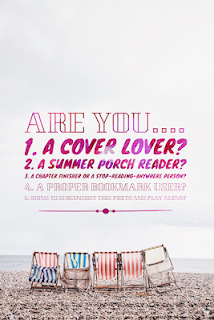 Yes...I am a summer porch reader. I love reading on my back porch. 4. No...I am not a proper bookmark user. I use envelopes, kleenex, envelopes, coupons, etc. 5. Yes...I am playing along. 2 Definitely definitely no!!! in our heat I'll be broiled! Thanks for playing and commenting, Mystica.